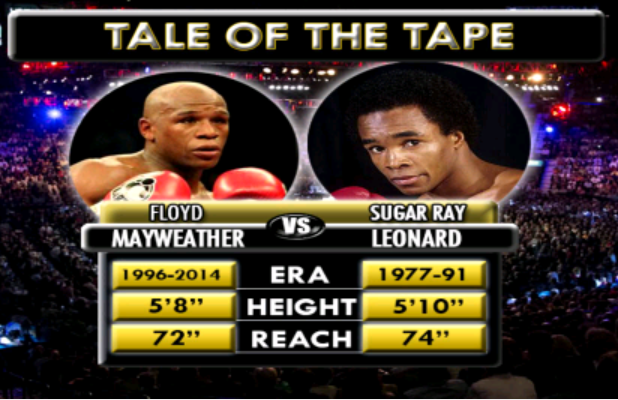 Unless you’ve been hiding under a rock you know about the exchange of words between Floyd Mayweather and Sugar Ray Leonard that took place over the holidays. The barbs between the two happened on Instagram. There were other exchanges between the two on Leonard’s Instagram account as well as Floyd went on to call both Leonard and Thomas Hearns “easy work” and Leonard replied by telling him how he beat his dad by KO and would’ve done the same with Mayweather Jr. The debate as to who would win between Leonard and Mayweather is one of the hottest topics on internet boxing forums and this exchange of words does absolutely nothing to settle that debate but it sure does stir the emotions both ways. Legend Sugar Ray Leonard Targeted by Eddie Hearn!